Observing the continuous rise in usage of mobile devices for accessing the web than desktops or PCs, website owners who still aren’t running mobile versions of their website should acknowledge building one. You need to look beyond creating website layouts for desktop screens, and instead pay focus on creating a mobile web design that work well on all devices; not doing so, can make you lose a lot of potential users. Simply put, when creating a website it has become needful for website owners to follow a mobile strategy, so that the needs of mobile users can be addressed. However, keep in mind that your strategy may vary based on the kind of a website development project you’re working on. You’ll have to think about the mobile strategy in view of how your site or client’s site will look like and function in the mobile space. The website needs to be accessible on both desktops as well as mobile devices. 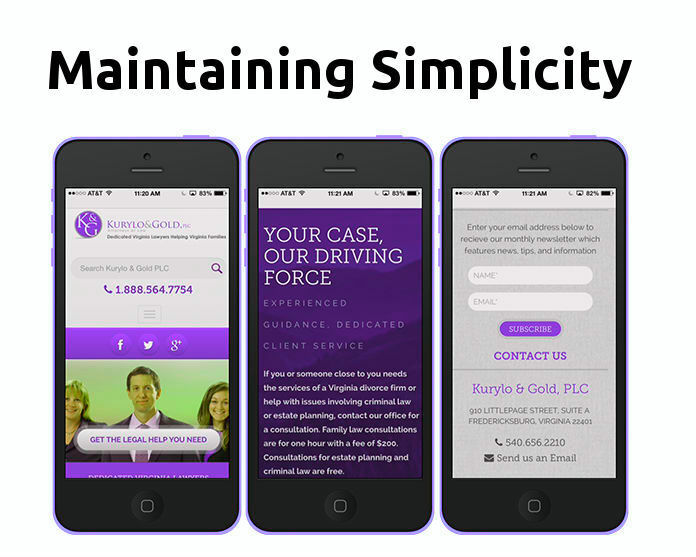 The design you’re creating is a redesign of your current site, and will include a mobile version of the site as well. The mobile web design is simply an addition to your existing desktop website. Each of the aforementioned list of key points contains different requirements. Decide which one best suit your project needs in kick-starting your mobile web design endeavor. And then, consider the below listed strategies. 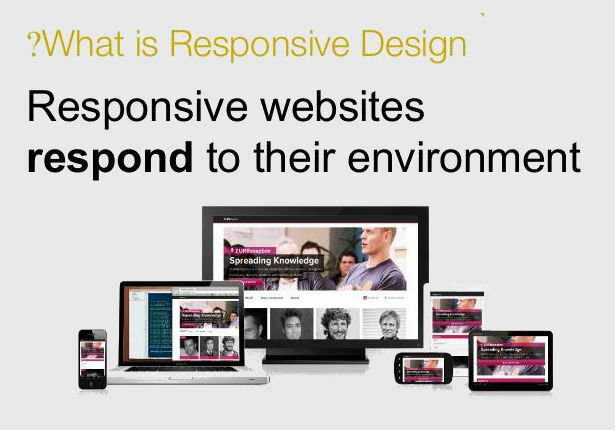 Once you’ve defined the needs to build a website, next and the most important strategy requires you to practice the modern and commonly-preferred mobile web design strategy, called as Responsive Web Designs (RWD). With plenty of devices being developed and released every now and then, you cannot predict your site accuracy by testing in a limited browsers. And rather, you’ll have to make your site optimized to adapt and adjust to any supported browser, screen size and resolution. This clearly indicates that maintaining just a single website won’t be enough, for delivering a positive user experience on all the devices. You need to make sure that your website meets the needs of all users, and practicing the RWD approach is the most viable way to achieve such an objective. Creating a web page using this approach, will automatically scale the page according to the mobile display it is being accessed on. In fact, RWD is the industry standard – recommended by the search engine giant Google. Thus, it makes sense to practice this web standard for your mobile web design project. 3. Do You Need to Redesign Your Design? Using the RWD approach help you modify the look and functioning of your existing design. So, you don’t necessarily have to re-design your major brand. However, it is very important for you to pay attention to use the responsive web design approach while holding up to the modern mobile design styles. Just as you may know that the web design trends keeps on evolving rapidly, and every year new trends are introduced. For instance, nowadays designing ghost buttons, websites with parallax-scrolling effects, good typography and video backgrounds are some of the most popular web design trends. Making your site updated with such trends will help you easily attract more customers towards your design. When it comes to converting a desktop website to a mobile version, many designers follow the general rule of thumb, and try to keep things as simple as possible. They do so because of many different reasons. Most importantly, maintaining simplicity, such as reducing file sizes helps in loading the mobile site faster. In addition, using less navigation items and removing unnecessary elements from the layout makes the design comprehensible to users. This clearly suggests how less is more. But in order to meet the expectations of users, merely paying attention to simplicity in web designs won’t help you succeed in your mobile web design endeavor. So, it is a good idea to maintain simplicity in your design for mobile displays, but for achieving success you need to create a fine balance between simplicity and visual aesthetics of your design. Fortunately, CSS3 web technology provides some amazing tools that helps to add enhanced elements like drop-shadows, gradients, etc., without making the design look bulky. The last strategy you should emphasize on, for designing a winning mobile web design is to ensure that your mobile website loads quickly. Remember, slow page load time is the primary reason that increases bounce rate. And thus, improving your load time can help you in reducing bounce rates. Not following any optimization plan or strategies to build a mobile web design won’t let you achieve success in your endeavor. However, reading this post thoroughly will help you learn about the most basic yet important strategies, following which you can jumpstart the process of creating mobile web designs, helping you come up with a successful end-product (i.e. a mobile web design). This entry was posted on Wednesday, April 1st, 2015 at 08:30 and is filed under Tutorials. You can follow any responses to this entry through the RSS 2.0 feed. You can leave a response, or trackback from your own site. Addison Cohen is an application developer for Appsted Ltd, which is one of the best iOS app development companies globally providing high quality iPhone apps. He loves sharing information on the latest mobile technology.